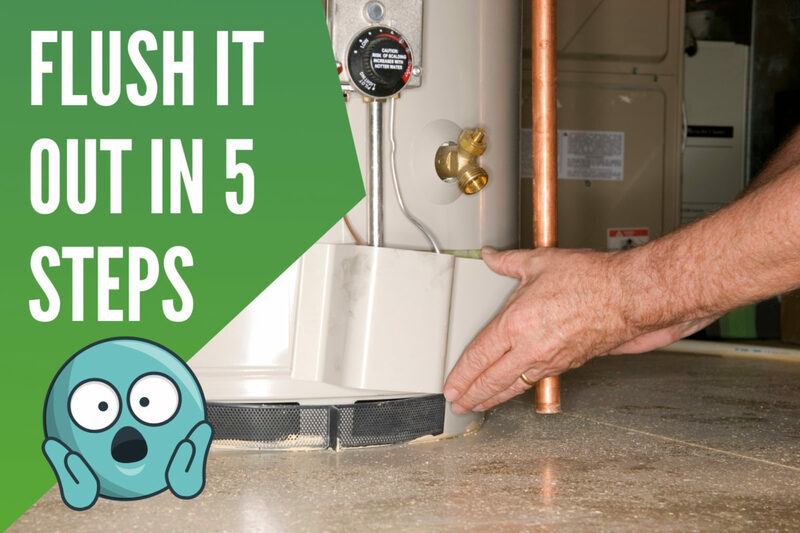 Flush Your Water Heater in 5 Steps! If not done correctly the first time, many plumbing repairs can turn into even more expensive repairs to fix the initial “repairs.” However, that doesn’t apply to everything. In fact, most maintenance-based items are probably not worth calling an expert plumber out, as you can easily get them taken care of. One of these revolves around the hot water heater. Like the majority of plumbing issues, you don’t actually think about it until it’s too late. It will continuously produce hot water and then all of a sudden, one day it won’t. Then, for some families, chaos might ensue! With a quick annual flush, you can actually help prevent this from occurring. Plus, it’ll only take you minutes to do it! Why Does It Need Flushed? When water heaters are repeatedly used for daily activities, mineral deposits start to build up and actually form clumps. With this being the case, the exchange of heat from the burner to the water is impeded upon. As this continues to accumulate, you’ll soon run the risk of corrosion, which is not a pretty sight! Now, let’s learn how you can flush your water heater by yourself. Keep in mind that depending on whether you have gas or electric, the first step will vary slightly. You’ll either be shutting off electricity or gas. First step is fairly straightforward. You’re going to want to stop the water from heating up. For gas water heaters, you’ll see a thermostat near the bottom. Some believe you can simply turn it to “Pilot” mode, but it’s always better to be safe than sorry, so go ahead and turn it completely off. Last thing you want is something terrible to happen when you’re just trying to flush your water heater! For those with an electric hot water heater, simply go to the breaker box connected to your heater and turn it off. Once it’s switched off, wait a couple minutes to let the water that was already heated cool down a little bit. Additionally, there should be cold water supply valve near the top of hot water heater. Make sure that is turned off as well. Before the draining process commences, you’ll want to turn on the hot water on one of your faucets in the house. A good rule of thumb is to find the faucet farthest away from the hot water heater. Keep it running throughout the entire flush (until I tell you to turn it off in the final step). At this same time, you’ll want to open the pressure release valve (pictured to the left). Essentially, this just allows air to enter the heater. Now that everything’s shut off on the hot water heater, it’s time to connect a garden hose to the drainage spigot. Make sure to have the end of your hose lower than the spigot. This will allow for the water release stage to go quicker, without any hiccups. As for where the hose leads, you can either have it go out into the yard (if possible) or you might have to use a large bucket. For those with hot water heaters in the basement and not the best access, you might have to invest in a portable pump. Next up, you’ll want to turn on the spigot and start draining the water out. Depending on how much sediment you have in there, you may have to take out roughly 5 or so gallons of water. What you’re looking for here is to keep draining until the water runs clear. It very well may look brownish at the start. 💥Turn Back On the Cold Water Valve. This is what we call the “Final Flush.” Turn on the cold water spigot that’s connected to your hot water heater. Let it run for as long as it takes so that you don’t have any sediment leftover! And that’s it! You’ve successfully flushed your hot water heater for the first time! Takes notes and be prepared to do the exact same thing a year from now. But before calling it a finished job, you’ll need to put everything back together. You’ll want to disconnect the hose with the spigot off. 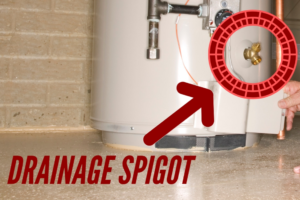 Close the pressure relief valve on the top of your hot water heater in Kansas City. Turn off that faucet you turned on in another room. Turn back on the main water supply to your hot water heater, so the tank can fill back up. Once the tank is filled up, open up that pressure relief valve again to let out some air and turn back on that other faucet to allow the air to escape. Last, but not least, re-light the pilot light and turn it back on (for gas hot water heaters) or flip the breaker switch back on (for electric heaters). It’ll probably take about 10-20 minutes and then you can flip on a faucet to the result of hot water once again! If you’d rather just leave it up to an experienced Kansas City plumber to flush it out, don’t hesitate to give me a call at 816-348-3481! We’ll be right out there and get it taken care of. You won’t even notice we stopped by! Keep in mind that water heaters tend to last roughly 8-12 years. If your hot water heater is nearing that timeframe and it’s starting to have issues, it might not be a flushing that needs done, but rather a complete water heater replacement. Nonetheless, give us a call and we can swing by to check it out! As a side note, be on the lookout for an upcoming “How-To” video where we’ll walk you through the process of flushing your Kansas City hot water heater in live action!